This butterfly is so beautiful. I love the small olive green spots on the bottom wing. What Makes This So Great. 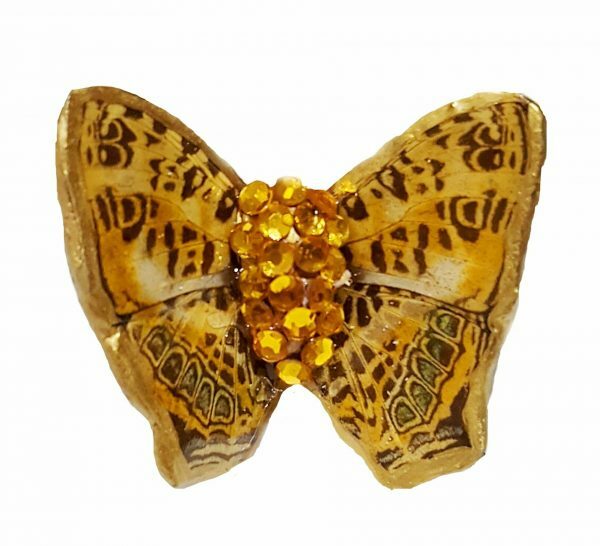 Butterfly Wing Jewelry, crafted with excellence. 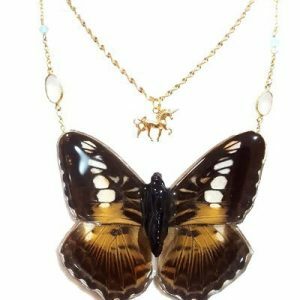 Nature, turned into wearable art that doesn’t just look fabulous but also acts as a great conversation starter. We only use the finest materials and premium jewelry grade resin, with superior craftsmanship. When you buy from us you can rest assured you’re getting the best genuine butterfly wing jewelry on the market! The perfect tiny accessory for that special night out. Want more than just this ring? 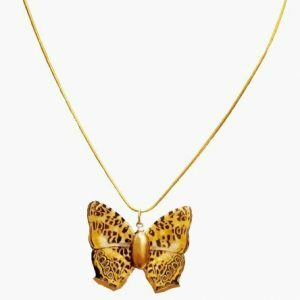 Click here and view our matching necklace.